Lectures and support for other events are offered at each of the Mountain Science Center's field stations wiht the aim of contributing to the region and society. The Sugadaira Naturalist Association is a volunteer group that has been fostered at the Station over many years. It and its subcommittees are very active and have held 25 events thus far. They have done a lot of positive work with local residents and children ranging in age from elementary through high school. 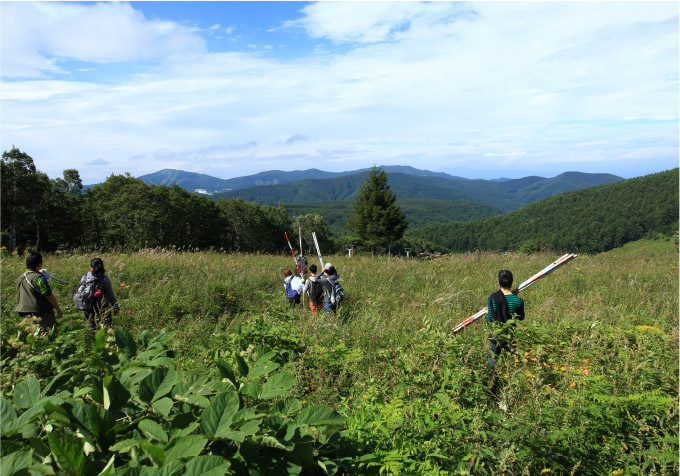 In 2017, an open lecture titled, “Bugs, Plants, and Fungi – A Lecture on the Natural Aspects Found Around Town” was held in Ueda City, and the Sugadaira welcomed a summer field practicum sponsored by the University of Tsukuba External Affairs Division. 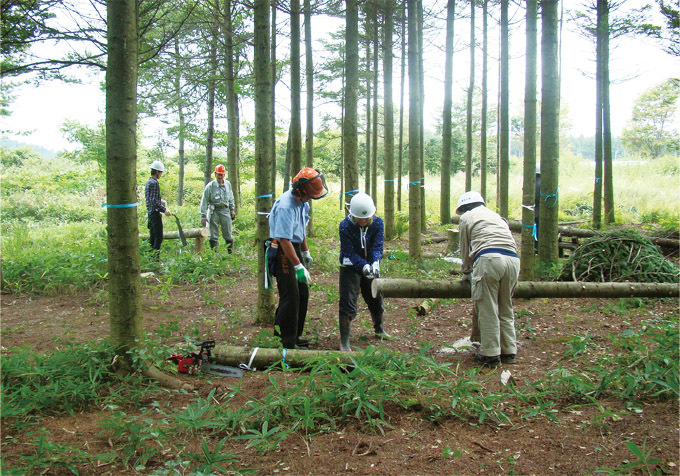 The main activity at the this experimental forest located on the University of Tsukuba campus is focused on day care praticums for those attempting to return to work. Staff at the university affiliated hospital, students, and patients participate. 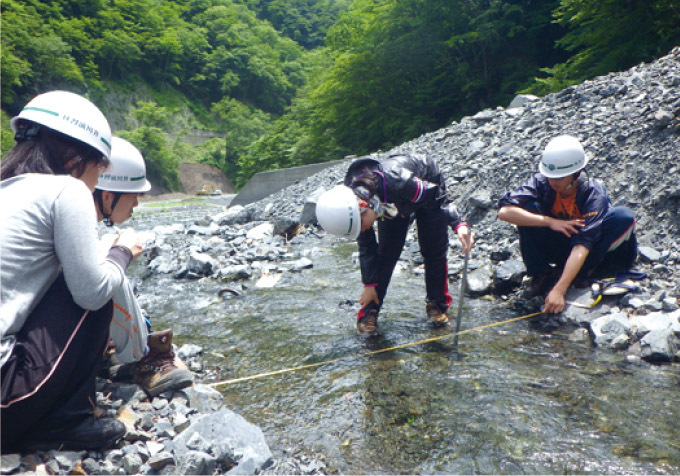 These activities utilizing the abundance of natural scenery found within the Tsukaba campus are very popular among patients. A volunteer organization with faculty member participants was launched in spring of 2016. 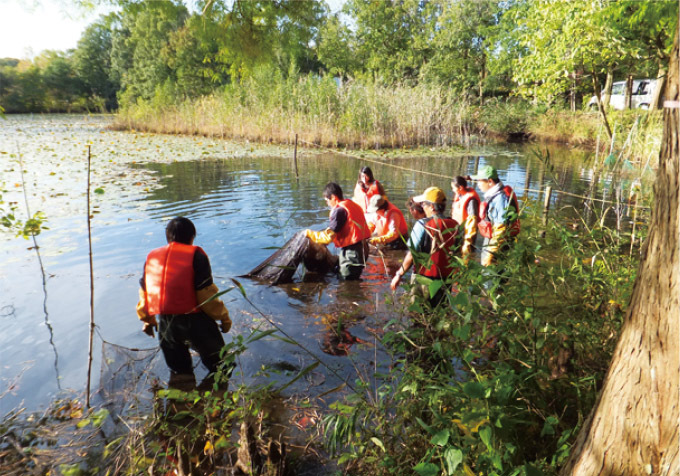 It has now grown to over 60 faculty members, and six events are held throughout the year in three forests. We regularly collaborate with the adjacent Shinshu University Nobeyama Radio Observatory, which is part of Japan’s National Astronomical Observatory. The premises and adminstrative building are open to local residents as the Yatsugatake Kogen Megumi no Mori (Yatsugatake Highland Forest of Nature’s Gifts); a place to observe plant and animal life or to simply stroll around. We strive for exchange and mutual support among the educational and public institutions and local government associations at our office located in the Igawa area of Aoki-ku, Shizuoka. As the region’s only higher education institution, we are relied upon in a variety of spheres. For example in 2017, we received new requests for lecturers from the Shizuoka City Board of Education and the Chubu Electric Company Igawa Dam Management Office.